First, I just adore Mary Cicciu. At 91, this feisty, sweet, amazing senior still works full time at COA, walks without a cane, is sharp as a tack and is an inspiration to people half her age. I wrote years ago how remarkable I believed Mary to be, and that impression has only increased with time. I love her dearly. At the faire she was manning the “mitten tree” and selling other holiday goods, chatting with everyone she met like an old friend. Whether I see Mary at mass, around town or at COA, she always has something good to say, always greets me with a hug, and is sincerely loved by so many people. Mary, we adore you. I was also happy to see Lorraine MacMasters at the faire. Lorraine often looks after Mary and I learned that Lorraine and I have mutual relatives back in Inverness Nova Scotia, and because we both have a cousin named Charlie MacMasters, we figure we are cousins. Lorriane’s a sweet, kind woman. In August, she and her husband Lonnie traveled to my Nana’s hometown of Glendale, took some pictures for me, and even lit a candle and said a prayer for Nana at Saint Mary of the Angels Church. I know Nana would have loved that, and I am forever grateful to my cousin for her kindness. Joyce Sonnenburg was there, wearing her “grandmas — the next best thing to Santa” shirt. Joyce is a force of nature, a commander of the troops and no-nonsense, but don’t tell anyone I said this, has a soft side and is very funny. Her work at the food pantry should be front page news; I can’t believe she doesn’t get overwhelmed with the sheer volume of the need, but she doesn’t complain (except when people put expired canned goods in the food box) and is always available to help the Food Pantry and COA. Joyce, you’re another inspiration. I saw Joanne Pratt, Lou Bedard, Jackie, Chris, and so many other familiar faces. 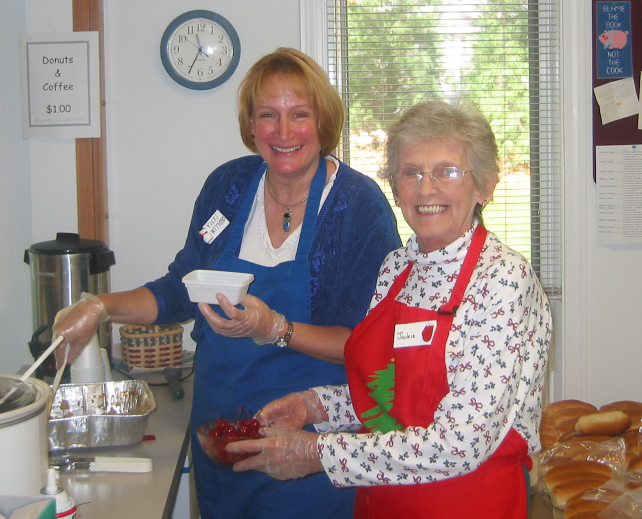 There are so many good people who work and volunteer at the COA. I admire them all. COA has an excellent captain at the helm. Vicky Withers, director of COA and Human Services, continues to impress me (and not just because of the delicious apple crisp she was serving at the faire, although I did have two of them). This good woman clearly has an obvious love for the seniors; she has a passion for her work and manages to balance the extraordinarily busy activities at COA with a hands-on, loving approach. Whenever I see her talking to someone, she’s listening intently, never too busy for them. Vicky, you are a Godsend and your work is deeply appreciated. The seniors love you. Vicki is also involved with several other programs around town, such as the domestic violence abuse prevention/rescue program called HUGS (Help Us Get Safe) as well as a Lifeline program designed to provide Seniors with a radio/transmitter to summon instant help when needed. A one year subscription for a senior is only $420 and if you are feeling generous, perhaps you might subscribe a senior in this invaluable service. On that note, there will also be fundraisers coming up for to finance a needed second story to the center, as well as fundraisers to support all the good work done at the nearby Doolittle Home. I recently talked to Jack Authlet, the fund raising leader of the Doolittle home effort, and he emphasized how important it is to create and maintain an environment of dignity for the Doolittle residents. Having visited this excellent facility, I can see that the seniors who live there are indeed blessed with a homelike and caring environment, and they live in comfort and dignity. Doolittle is not a rest home. 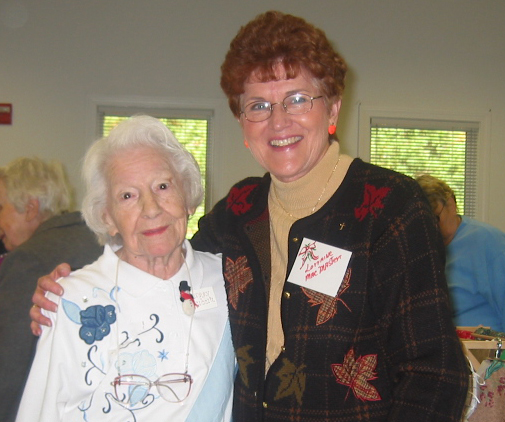 Doolittle is a home for seniors. My recent visit to Council on Aging has reminded me again how important seniors are, and about the upcoming fundraisers. When you receive the mailings and information about these worthwhile causes, please be generous. We live in a fine town where our senior population thrives both at COA and Doolittle Home, and because of your generosity. Please do what you can to help them carry on their good work for this precious part of our population. My very first Reporter Column; Support your seniors!